Tutor Mentor Institute, LLC: National Mentoring Month - Who Mentored You? On December 26, 2006 I wrote this article. I've updated it as we head into the 2012 National Mentoring Month. 2011 note: Recent research based on social capital theory shows the value of expanding the network of adults and learning experiences surrounding inner city youth. Good mentoring, regardless of the format, depends on an effective system of coaching and support for mentors. In a TQM program, that system of support requires funds to rent space, provide computers, and offer learning activities in addition to mentoring. 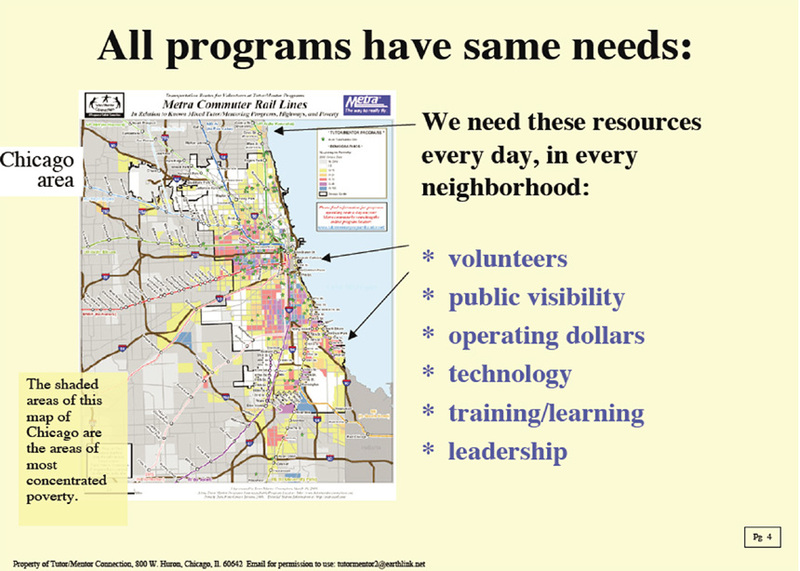 Every tutor/mentor program in Chicago shares the same common needs. Leadership and innovative marketing strategies need to be developed to motivate donors and volunteers to support all of these programs, not just a few high profile groups. 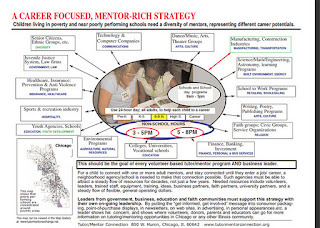 That's why I hope that during the final days of 2006 (now 2012) you will think of who mentored you and look for ways to make a financial donation to support one or more of the programs included in the Chicago Tutor/Mentor Program Links list. 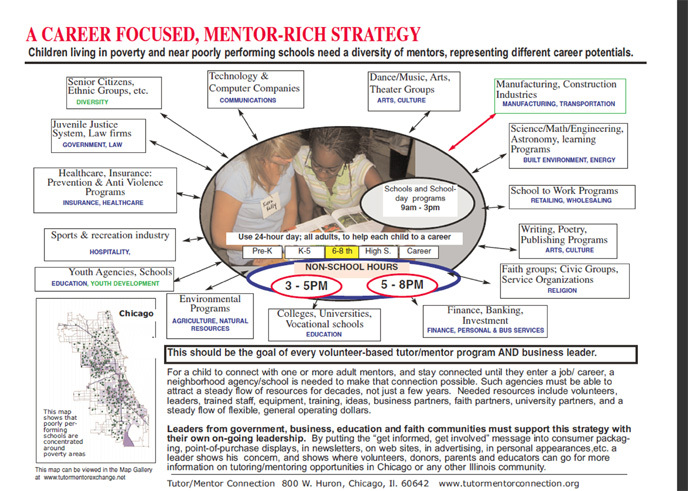 That's why I also hope investors, partners and donors will also support the Tutor/Mentor Institute, LLC so we can keep Tutor/Mentor Connection available to Chicago and help similar intermediary organizations grow in other cities. Thanks to everyone who has helped us connect inner-city Chicago youth with volunteer tutors and/or mentors during the past year. Your donations will help us do that again in 2012. Win the Race for the Future. Sponsor a Driver? What Would Drucker say about "Evidence Based"?